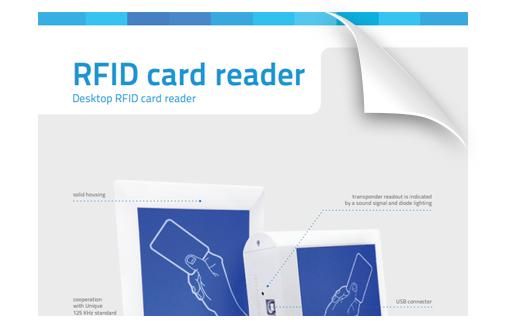 Desktop RFID card reader produced by GS Software is used to read UNIQUE transponder codes. Communication between the reader, the computer and its power supply takes place via a USB port. After connecting to the computer, the reader is automatically installed in the system as a virtual COM serial port. Each time you put the transponder close to the reader, its code is read. The readout is indicated by a short sound signal and a red diode flashing. After the transporter has been put close, the code is sent to the computer only once. The reader cooperates with the GSW weighing software provided by our company. 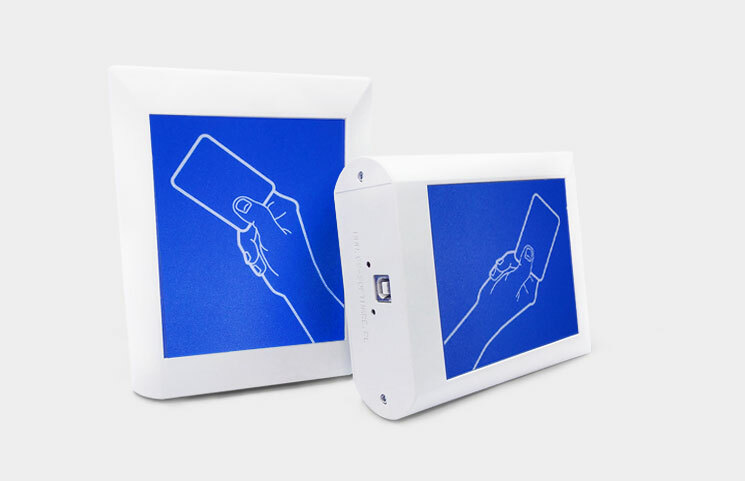 The card reader can be used to create data sets assigned to RFID tags received by drivers. Window highlighted in green means that the card is not saved in the program. Read-out numbers of RFID cards are displayed in the left bottom corner of the weighing window. Window highlighted in green means that the card has not been saved in the program yet. Click the green arrow next to the highlighted window in order to add a new card. 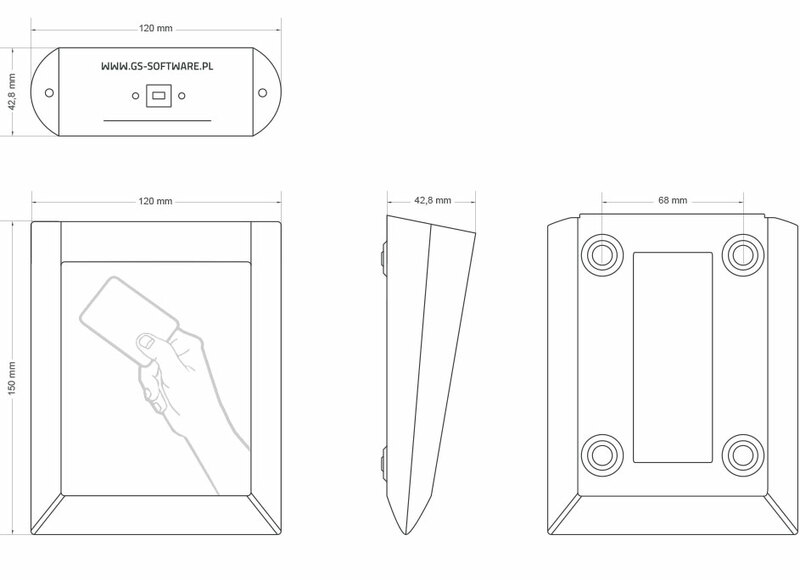 After the arrow has been clicked, a new window will be displayed where you can enter data of the contractor to be assigned to a given RFID card. Data such as: vehicle/wagon registration number, trailer number, customer data or type of weighed product can be assigned to each RFID card. Window highlighted in yellow means that the card has already been saved in the system. After clicking the green arrow, the data in the weighing window will be filled automatically. Window highlighted in yellow means that the card has already been saved in the system.